On Being an Angel takes its title from a caption the artist inscribed on two of her photographs – self-portraits with her head thrust back and her chest thrust forward. Typical of Woodman’s work in the way they cast the female body as simultaneously physical and immaterial, these photographs and the evocative title they share are apt choices to encapsulate the work of an artist whose legacy has been unavoidably colored by her tragic personal biography and her death, at age 22, by suicide. In less than a decade, Woodman produced a fascinating body of work – in black and white and in color – exploring gender, representation, sexuality and the body through the photographing of her own body and those of her friends. Since her death, Woodman’s influence continues to grow: her work has been the subject of numerous in-depth studies and exhibitions in recent years, and her photographs have inspired artists all over the world. 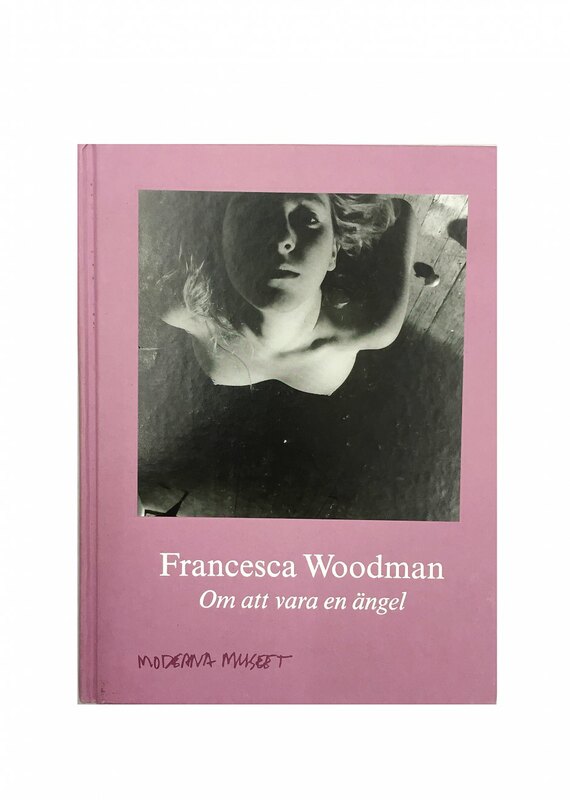 Published to accompany a travelling exhibition of Woodman’s work, Francesca Woodman: On Being an Angel offers a comprehensive overview of Woodman’s oeuvre, organized chronologically, with texts by Anna Tellgren, Anna-Karin Palm and the artist’s father, George Woodman.